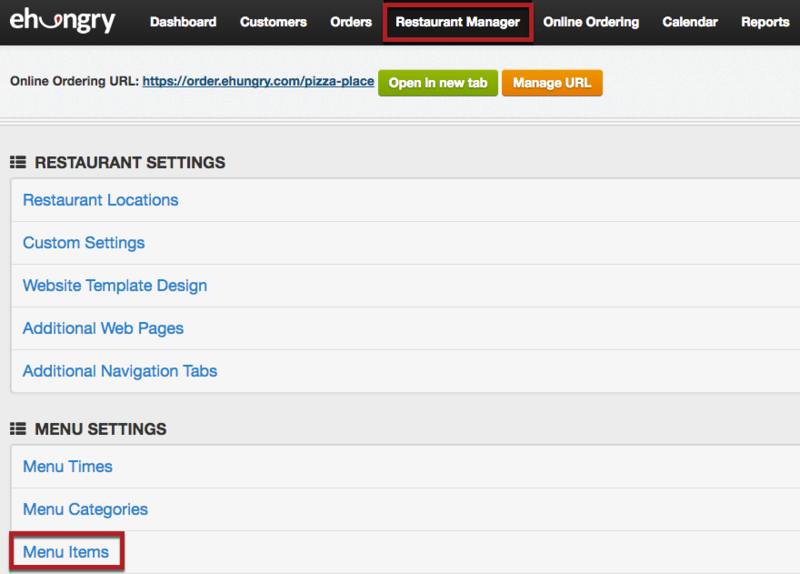 In your Online Ordering Console, you can re-sort your menu items by selecting "Restaurant Manager" from the main menu, and then selecting "Menu Items" under the "MENU SETTINGS" heading. Find the menu item you want to re-sort, click and hold on the item name with your mouse, then you can drag the items up and down to change the order they appear in. Alternatively, you can look to the far right of the screen and see that you can order items by number in any way you like. Be sure to scroll to the bottom and click Save Order Changes when you are done. Items can only be re-sorted within the same category.